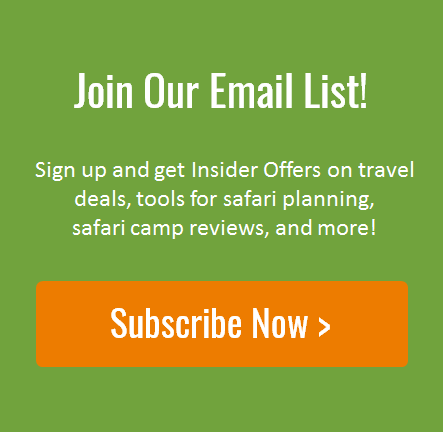 If any place in the world can turn someone into a birdwatcher, it’s Africa. 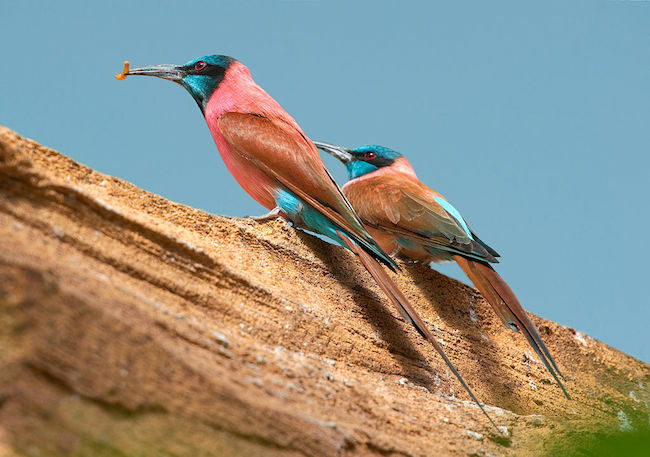 The staggering abundance and diversity of birdlife often surprises first time safari goers. Over 1,100 species have been identified in Kenya alone, about 200 more than have been spotted in all of North America. So it’s not surprising that many people, after spending a few days staring in amazement at the big animals that they came to see, find themselves paying closer and closer attention to what’s happening in the trees and overhead. In parts of Botswana, it’s not uncommon to see three or four species of eagles on a single afternoon outing during certain times of the year (I live near a river in Colorado and am lucky if I see three bald eagles a year). Throw in all kinds of crazy looking herons, cranes, storks, hawks, kites, rails, crakes, darters, plovers, parrots, macaws, vultures, owls, turacos, hornbills, cuckoos, hoopoes, hornbills, flycatchers, trogons, and kingfishers and you start to get the picture: there is almost always an interesting bird in sight, even when the lions are asleep and the leopards are hiding. 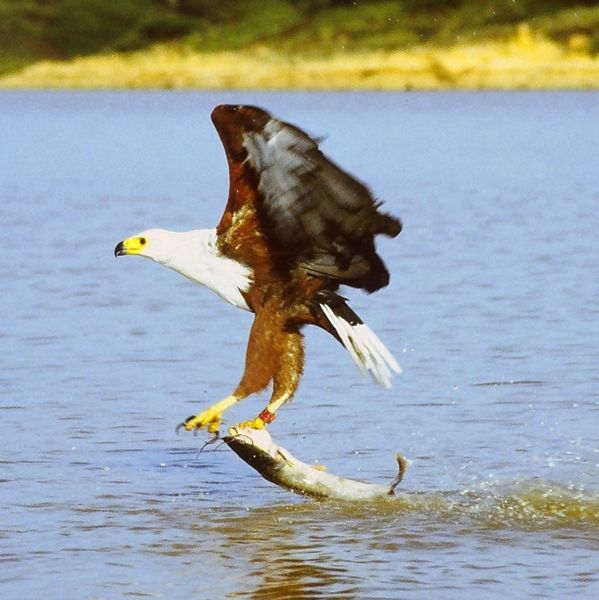 This majestic species of sea eagle is commonly seen perched in high treetops near lakes, rivers and lagoons throughout much of sub-Saharan Africa. It is similar in appearance to the bald eagle, and like its North America cousin, it primarily eats fish. The wingspans of females, which are larger than males, can reach up to eight feet. 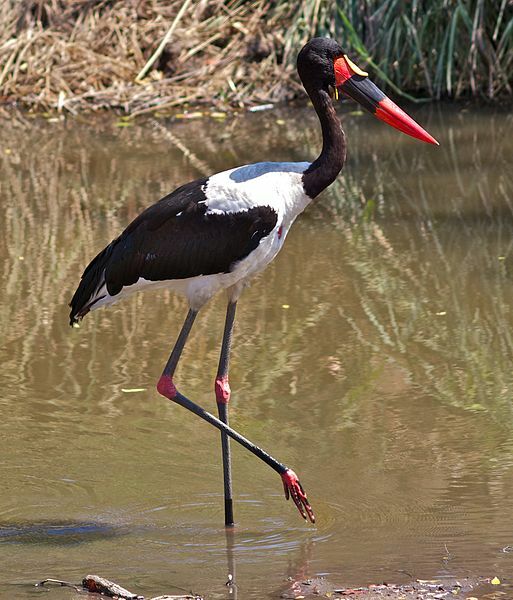 Watching a stately and colorful saddle billed stork patiently wade through shallow waters in search of frogs, toads and crabs can be a mesmerizing experience. Reaching nearly five feet in height and with wingspans up to almost nine feet, it is the largest (though not the heaviest) stork in the world. This large, striking bird has been described as having the body of an eagle and the legs of a crane. It is the tallest and longest species of raptor and one of the few birds of prey that spends most of its time on the ground. It hunts, often in pairs, for everything from insects to tortoises to large snakes. 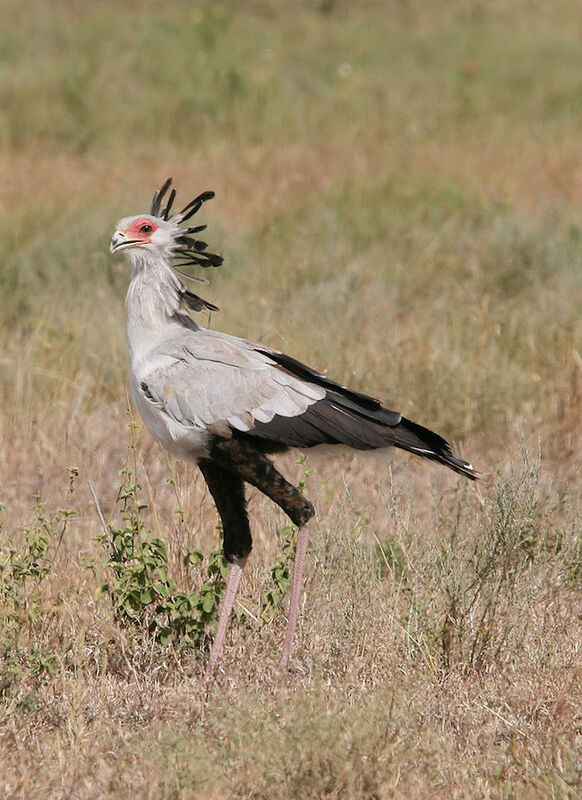 There are even reports of secretary birds killing young gazelles. With its pastel plumage of impossible-to-describe shades of green, violet and blue, the lilac-breasted roller is widely considered one of the world’s most beautiful birds. 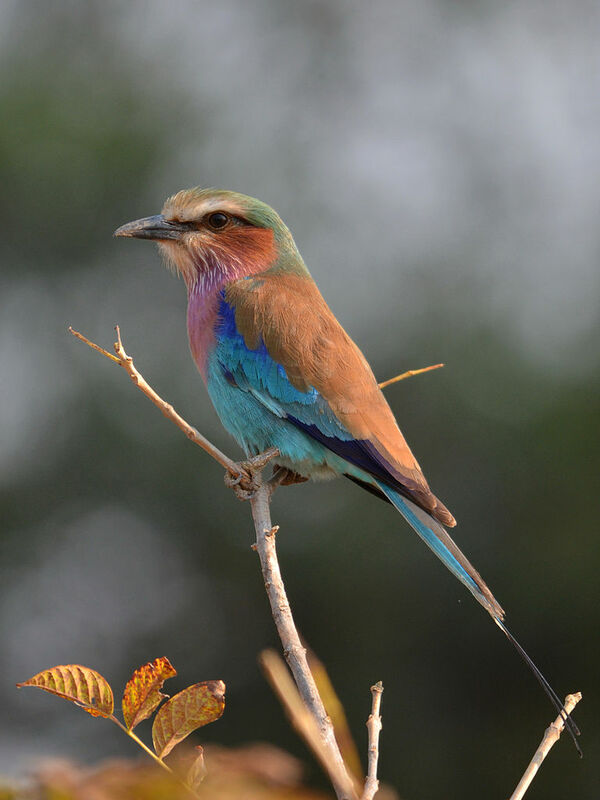 It is commonly spotted throughout much of sub-Saharan Africa and is the national bird of both Kenya and Botswana. With its almost jewel-like carmine (deep red) coloration, the migratory carmine bee-eater is another show stopper. As its name suggests, it feeds by catching bees and other insects in midflight. There are two different species, northern and southern, which look similar and are found in different areas. They can be seen in great numbers as they nest in vertical or nearly vertical earthen banks along rivers, streams and other bodies of water.